The principle of the EZYTrigger™ was developed and first employed by Bernhard Rudert in the mid-1970s for 25 – 100T cranes. At that time the main customer for the product was the South African electricity utility (Eskom) which required reliable speed control for installing and maintaining their turbines. The EZYTrigger™ was also then supplied to the German crane manufacturer, Demag. By the 80’s Woolf Cranes was using the units for 10 – 25T cranes and later for 180T ladle cranes. The biggest ladle crane to date using the EZYTrigger™ is 600T. The units are used extensively in harsh and hazardous environments in the iron and steel industry, harbours and mines where the device had not only to stand up to high temperatures, but continuous high mains voltage spikes which were the cause of pulse tranformer breakdown. The scope of applications has grown and now encompasses industries across the power spectrum wherever thyristors are used. The original open board construction went through a number of design cycles to improve performance, reliability and ease of use. Today, the EZYTrigger™ is a fully encapsulated, stand-alone component which requires only input information from a microprocessor, CPLD or FPGA source and connection to the gate and cathode of the thyristor, thus eliminating the need for an extra power supply and pulse transformers. 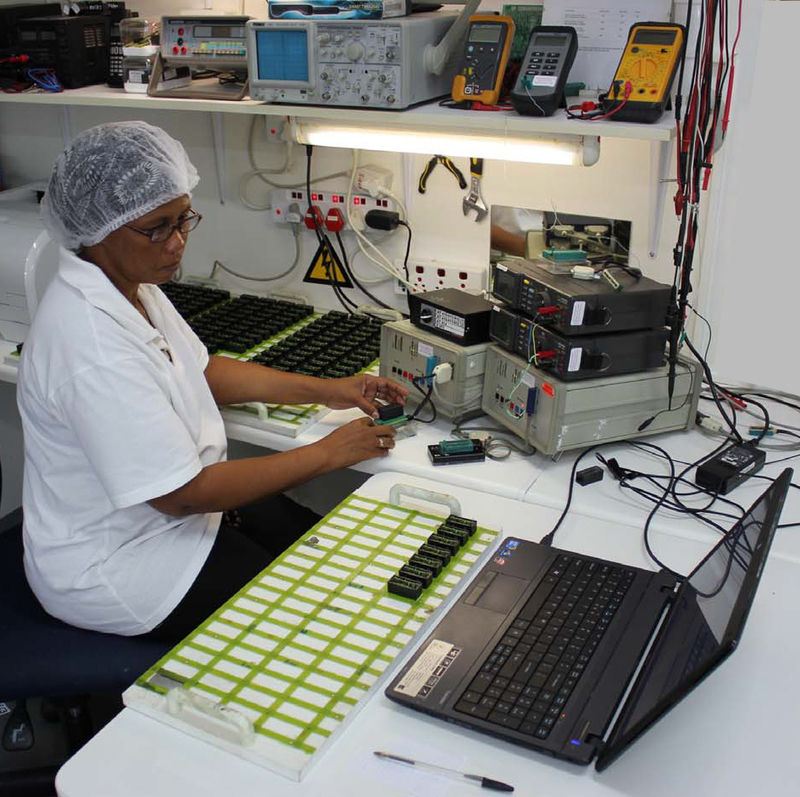 Every single unit produced is tested twice: once before encapsulation and once after encapsulation. Test parameters of the EZYTrigger™ are such that similar conditions would rarely be encountered in the field, a fact which is reflected in the zero failure rate which has been achieved over the past decades of use. Any unit which drops out in either of these test programs is subjected to a rigorous investigation to preclude a recurrence of the cause. Our manufacturing philosophy is simple: anything which can go wrong, must go wrong in the factory and not in the customer’s equipment. Our production staff live this philosophy and take great pride in the quality of their efforts. For Controlled Rectifiers, AC Controllers and DC Motor Control. Line voltage 100 – 690Vrms. For low cost AC Controllers. Wired input for triggering a single thyristor. Fibre-optic cable input for triggering a single thyristor. Triggering in excess of 25m possible. Fibre-optic cable input for triggering a single thyristor in high voltage applications. PCB Assembly with AT414-22 EZYTrigger and fibre-optic receiver diode. Fibre-optic control of a single thyristor tested up to 25m fibre-optic cable. Fibre-optic control of any thyristor type including amplifying gate devices. No warranty is given for the accuracy of information stated by the respective manufacturers. Disclaimer: The information on this site is intended to provide general information only.